You spent hours (and maybe days) creating that content. It enjoyed solid exposure when it first went live but, months later, it’s neglected and almost ignored. How can you put that old content to better use? Reoptimize it. Accumulated backlinks will make benefitting from your reoptimizing efforts – through improved rankings – quicker and easier. Revisiting the old content creates an opportunity to refresh it by removing outdated data and adding something new. Pages with outdated content (old data, discontinued tools, etc.) that still receive clicks. You don’t want your readers to leave. Edit the page to ensure its accuracy and optimize again based on its new performance. Pages slowly increasing or decreasing in organic traffic. Recognize the signals to diversify the rankings and readdress your organic competition or reinforce growth by better optimizing the page. Pages stuck on page two of Google search results. It should be easier to move a page from two to one in search results than it is to go from page 10 to page one. An article showing up on page 2 likely just needs a bit more work. Once you’ve chosen the pages to work on, these tools can help. I’ve written about how Google’s algorithm evolution is getting smarter every year. The good news is you can learn from it and adapt your copy accordingly. 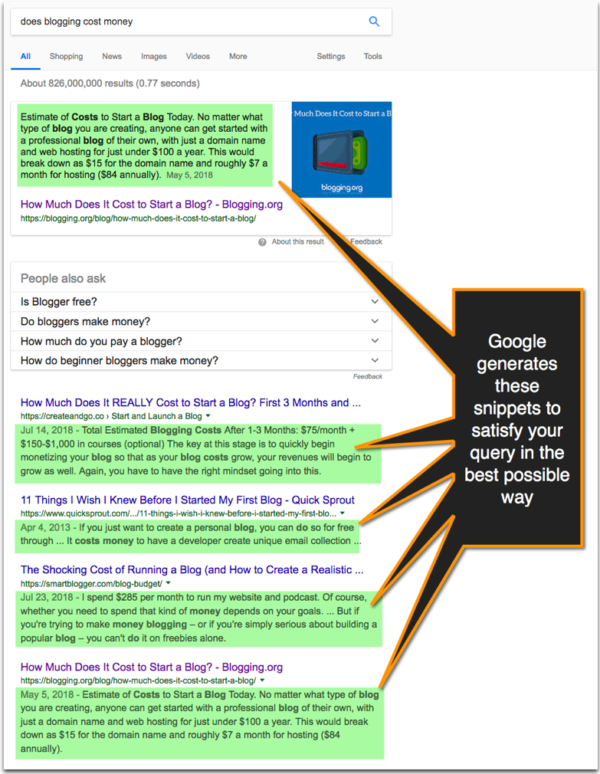 Google’s algorithm generates snippets based on the excerpts from each page it finds that best relate to the query. You can analyze those search snippets and extract related terms and concepts. You don’t need to optimize the old content around all these terms. Try incorporating a set of 15 into your content, then run the tool to see how it improves your score. Repeat the process until the content scores 90 or higher. 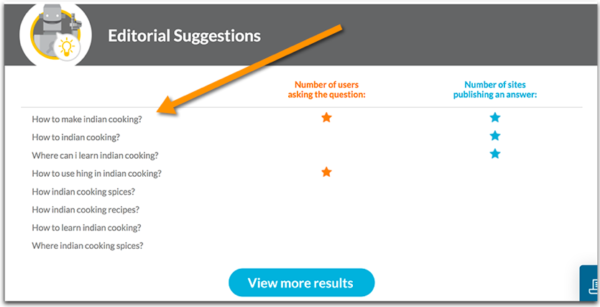 The tool also gives editorial suggestions, i.e., popular questions around your topic that will help you build a more in-depth copy. If any of those questions are relevant to your old content, incorporate the answers into it. Text Optimizer can operate as a Google Chrome extension, making it easier to access and run your pages through it. 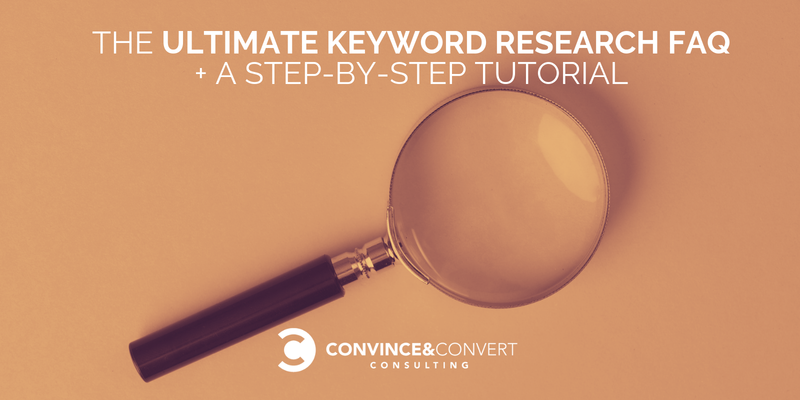 Keyword gap research is a relatively new tactic allowing you to discover which keywords your competitors rank for while your page is nowhere to be found. Keyword gap research works best for pages that already perform well for some queries but not necessarily the same queries your competitors rank for. 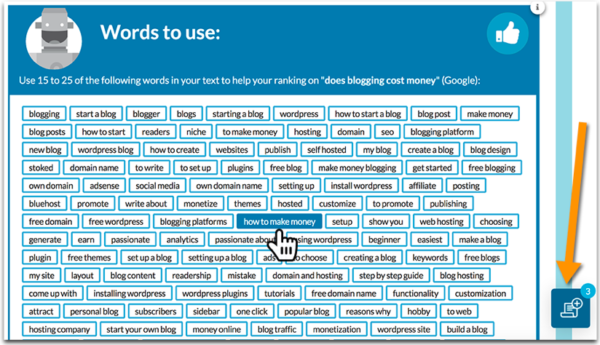 The tool (which offers limited results free, with paid plans starting at $19/month) checks the well-performing keywords for your URL as well as those from two competitor URLs. 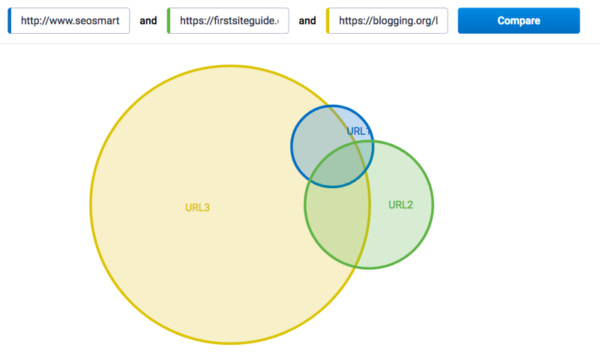 It creates a handy Venn diagram showing you how far your page is from the other URLs. Each overlapping section of the Venn diagram represents common queries. Your content gap is where the circles representing your competitors are not overlapping with your page’s circle. The Venn diagram is interactive. You can click inside any of its sections and the corresponding queries load with cool metrics that help you to evaluate the popularity of each term (search volume) and its commercial value (CPC and PPC competition). Using this information, you can update your old page with sections addressing the queries with the biggest gaps. You can read more about this analysis and how to use it here. Google gives a lot of clues when it comes to content optimization. All you need to do is to look closer at those search engine result pages. One of the most useful sections is the “searches related to” box that shows related queries. 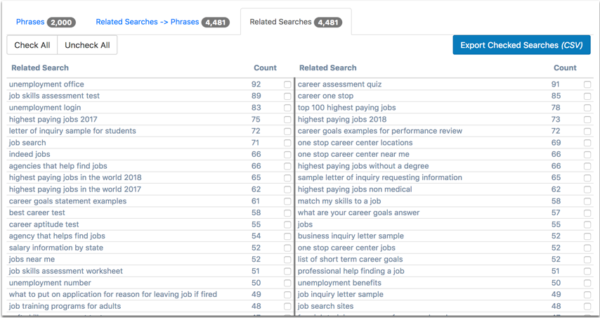 Unlike TextOptimizer, which relies on semantic analysis of one search result page, the “searches related to” section is based on user behavior – what users tend to search for before or after searching for the current query. Still, the behavioral nature of this analysis is useful because it lets you better understand your target audience’s related interests and how the page can be revised to serve those interests. 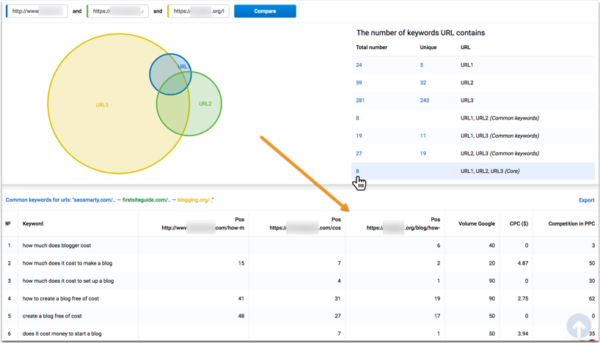 Featured Snippet Tool (developed by the company I work for) collects and organizes “searches related to” keywords for queries your page already ranks for (pricing starts at $99/month). You can check any terms that you’re thinking of adding to your old content and export the list to help shape your content around them. 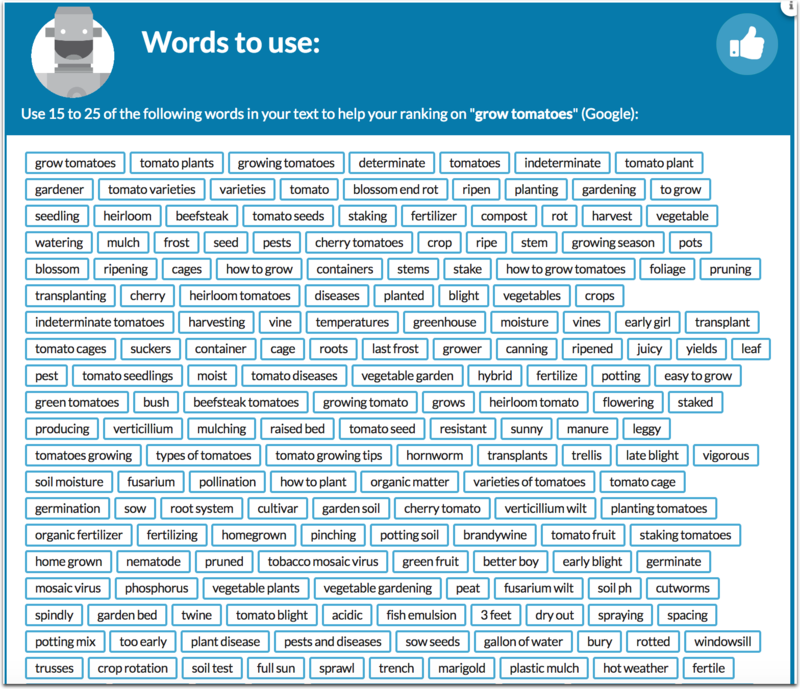 Using the three tools above, you’ll end up with a solid list of new related keywords to include in your old content. Add new content sections covering the new concepts and terms you’ve discovered. Yes, in most cases you’ll need to write some new content. It’s not just about editing what you have. You’ll have a better, more in-depth article in the end, which is always good for both people and search engines. Use H2 and H3 subheads to introduce those new sections (as well as restructure your existing content). H2 and H3 subheads help search engines understand your content better as well as lead it to be featured in search. This article (with great examples) explains how to better word those subheads to capture more organic ranking opportunities (including using keywords in them and sticking to the question format). Create and upload new images using basic SEO to include those core and related terms in the alt text. Don’t forget to optimize those images for mobile devices. Make sure the updated live page is optimized for both search engines and the (mobile) user experience. You can pick a free tool from this list or use this guide. And read this article on what can be preventing your page from ranking higher to make sure yours is good to go. Content optimization takes time and research. The good news is, when it comes to existing ranking pages, it’s mostly about tweaking and expanding your existing copy rather than writing from scratch. Are you using any other tools to optimize your existing content? Please share them in the comments. Please note: All tools included in our blog posts are suggested by authors, not the CMI editorial team. No one post can mention all relevant tools. Feel free to include additional tools in the comments. Get the latest (and sometimes refreshed) content from Content Marketing Institute. Subscribe to the free weekday newsletter.